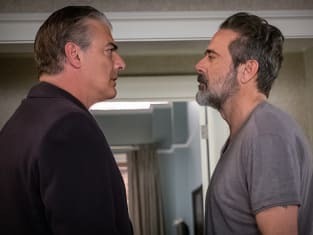 Peter found Jason in Alicia’s bed, the Feds used Eli’s daughter, Marisa against him, and Cary made a shocking move on The Good Wife Season 7 Episode 18. Do you think Cary quitting the firm was the right move and where does he go from here? Carissa: Yes. It was the right move for Cary. I could see him being a prosecutor again. He's a kind man, and being cut throat to survive another day at work isn't his thing. Elizabeth: Maybe it was the right move for him, but I can't be happy he's leaving. And early 30s is awfully young for retirement even if you can afford it. He'll get bored of being a beach bum pretty quickly. Maybe he can move to some idyllic small town and open up a practice of his very own. Christine: I think it was the right move. The infighting wasn’t making him happy. He needs a nice long vacation and then he can come back refreshed and figure out what kind of lawyer he really wants to be. 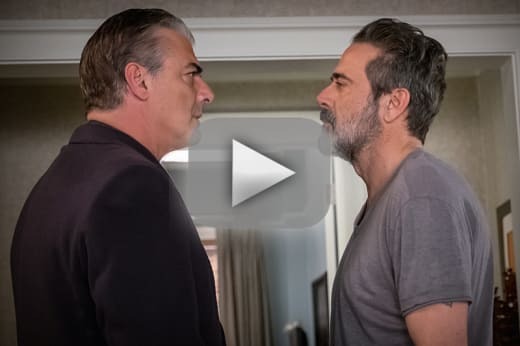 Will Eli testify against Peter? Carissa: Yes. The world will turn on Peter, and it's justified. Elizabeth: If he can figure out a way to do so without hurting Alicia, sure. 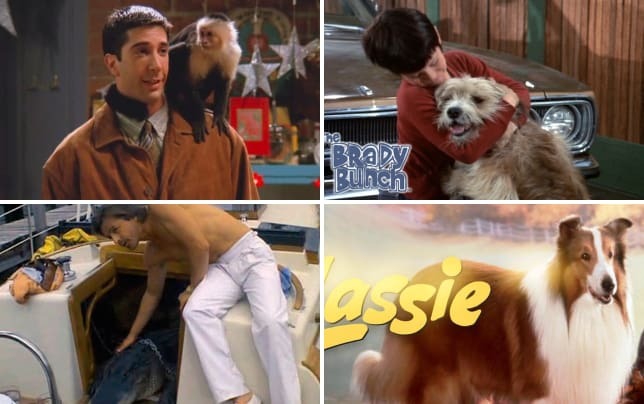 His number one priority is Marisa, but he still has aspirations for Mrs Florrick. Christine: I think Peter lost Eli’s undying loyalty when he ousted him for Ruth earlier in The Good Wife season 7. Eli will protect himself and his daughter, and if that means turning on Peter, then that’s what will happen. Were you surprised by Peter’s reaction to finding Jason at Alicia’s? Carissa: No, but only because he has a giant ego and finding another man in the house he considers his with the woman he considers his bothered him. Elizabeth: Ugh, no. That was some major patriarchal BS and exactly what I would expect from Peter. He's such a hypocrite. Why does he have keys to her place again? Christine: I wondered about the keys too, Elizabeth, but he’s probably had them since the kids were younger and he would drop them off. But no, Peter’s reaction was typical Peter. He can screw around with whomever he wants, but knowing that Alicia is sleeping with someone else brings out his nasty, territorial side. It’s almost comical. Will Alicia go through with the divorce or delay it because of Peter’s legal issues? Carissa: Go through with it. The way Peter had his head cocked as if he was begging settled it for me. Elizabeth: I think it depends on what the fallout would be for her and for the kids. Not that they're ever around anymore. She might put it off, but more to keep herself out of the spotlight than to help him. Christine: I hope she goes through with it. Peter will always have an excuse to keep her from divorcing him. I’m hoping she finally pulls the trigger. 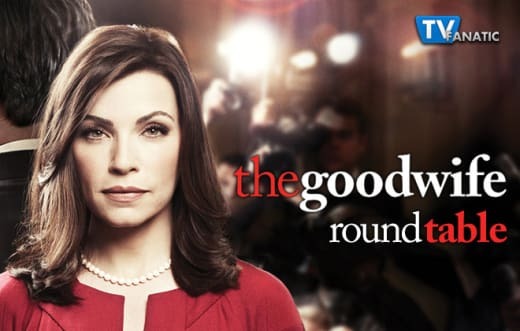 What was your favorite quote or scene from The Good Wife Season 7 Episode 18? Carissa: When Eli said he got a lawyer, a good one, and Marisa said she was glad he passed over all the bad ones. I'm going to miss her. Elizabeth: Everything Marisa – I loved how she just upped and called security, although a call to her lawyer, Alicia, might have been even better. I also really enjoyed Anna Camp being back. If Diane is looking to launch a new ladies dominant practice, she should recruit Caitlin to stay. Christine: I loved how Jason reacted to Peter. He never took the bait as Peter did everything he could to pick a fight. I think his calm demeanor just made Peter even crazier.